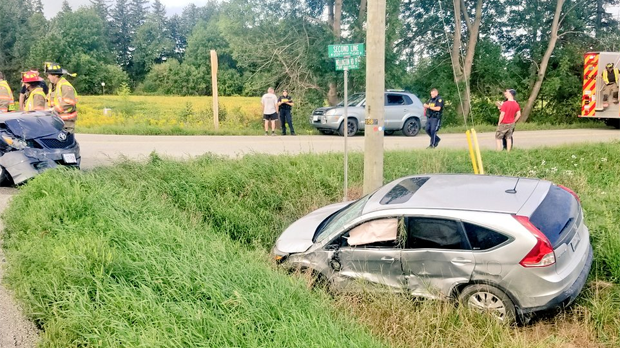 A crash in Wellington County sent one vehicle into the ditch near Belwood, police say. A collision in Wellington County sent one vehicle in the ditch on Thursday morning. 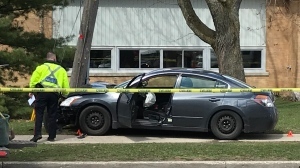 First responders were called to Wellington Road 19 at Second Line near Belwood around 8:30 a.m. for a crash involving two vehicles. It is not known how many people were hurt but police say injuries are minor. Police say traffic has been delayed and they are reminding drivers to slow down for emergency vehicles.